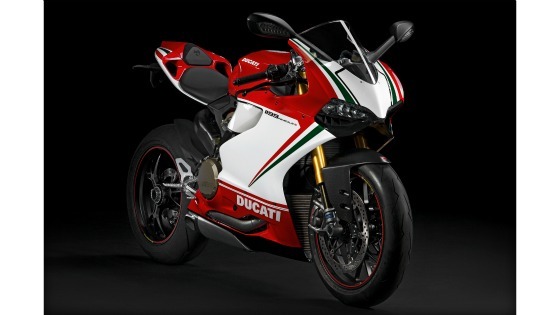 Here are a few pics and some info about the new Ducati Panigale 1199 a more or less awesome bike. Extra care was taken in making this Ducati Superbike as compact and efficient as possible with most of its components packed into the frame as tightly as possible. The Panigale 1199 cuts all the BS and sticks to what Ducati riders do best which just happens to be winning. The Ducati's chassis is a monocoque aluminum design which allows its single frame to actually use the engine as a structural element this not only decreases the bikes weight by 5 kg but it also provides an added benefit of better riding posture. The Ducati Panigale's Superquadro engine is being called the most powerful twin cylider engine on the planet by ducati. This powerhouse puts out 195 horsepower. If you don't need all that dead dinosaur guzzling power it's not a problem due to a great new Riding Mode feature that allows you to control your power usage by road conditions and riding style.